We haven’t had a real shortage of staples yet. But the ease of finding certain staples — such as toilet paper, white sugar, wheat flour, and real milk — ebbs and flows. Sometimes we simply have to hunt a bit more and we stock up when we can in case the stores find themselves without. Just after the new year toilet paper wasn’t to be found for a week or so. 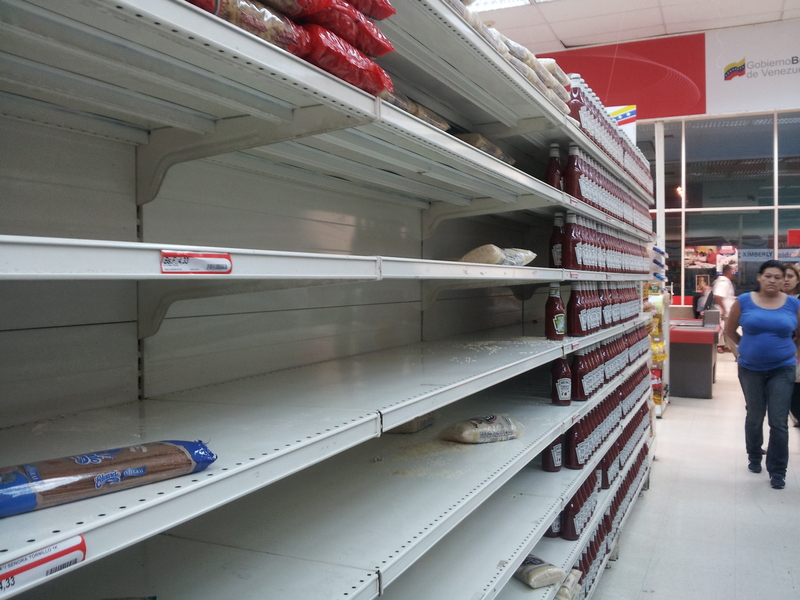 And two days ago the local bread shop was rationing two loaves of bread per family. 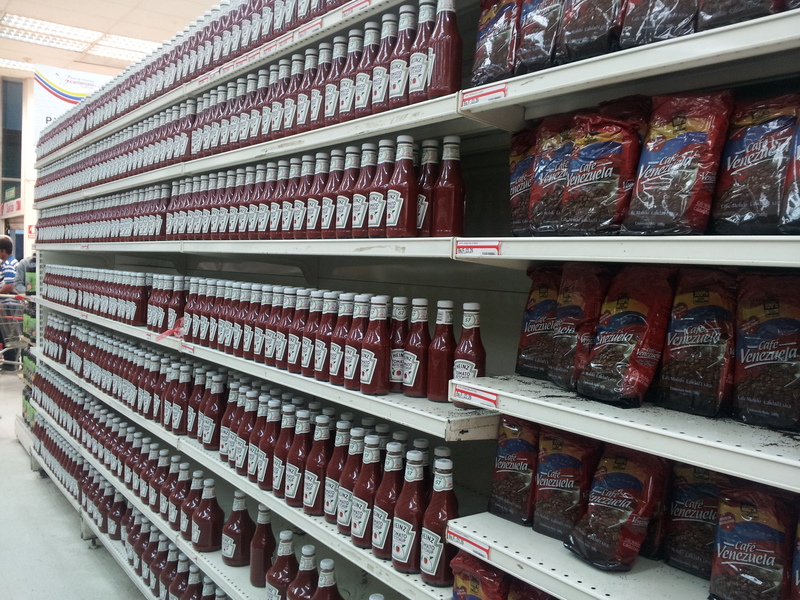 Here’s a pic of the local state-run grocery store isle just last week. Love the ketchup pictures. Perfect! This entry was posted on February 7, 2013 by Michael Stein-Ross in Michael and tagged Food.